Buying an Ultrabook isn’t going to be simple. Not only do the products all look similar but the internals are similar too. 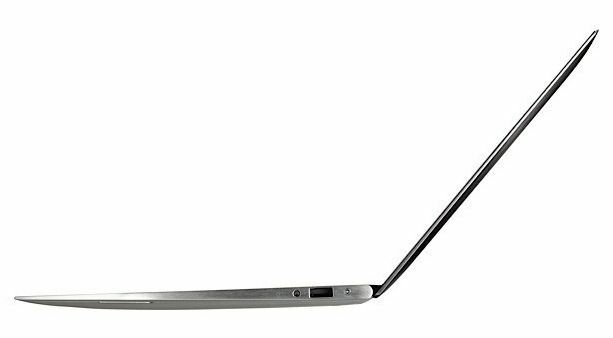 How do you make a choice between an Lenovo Core i5 Ultrabook that looks the same as a Toshiba Core i5 Ultrabook that costs the same? The devil, unfortunately for the consumer, is in the details so to make the process a little easier I’ve listed some hints and tips here that you might want to think about before buying. I’ll update it as often as I can and will add in important tips from anyone that comments below. There isn’t much difference between the Core i5 and Core i7 mobile CPUs apart from nominal and Turbo clock-speed but beware of the Core i3 which does not have the ‘Turbo’ feature that overclocks the CPU when possible. This is useful for speeding up web browsing and other bursty activities. Intel Quick Sync Video (hardware video decode and encode) is available on all platforms and core Wireless-Display support although that requires a Wi-Di capable Wi-Fi card – generally an Intel Centrino card – an an adaptor for your display. Disk sizes are based on unformatted total capacity, not user storage space. A 64GB drive could potentially have a 10GB windows build and recovery partition leaving around 40GB of space. Assume the worst and consider the usable space to be 20GB less than the disk size shown in the specifications. SSD performance can vary wildly – there are some terrible SSD controllers out there – so look for a 4KB read-write test. It’s an important measure of how the SSD handles fast writes of small sizes – typical of many usage scenarios. A figure over 10MB/s is OK. Fastest read speeds should be over 200MB/s. The best we’ve seen to date is 500MB/s using a SATA III controller although as speeds go over 300MB/s there are limited practical advantages to these raw, theoretical figures. Hybrid Hard Drives are not as fast in all scenarios as SSDs, are not as rugged, as quite or as efficient. They also vary in type and quality. Low-end versions simply use an SSD cache for hibernation activity. Others use third-party softawere like ‘ExpressCache to improve boot speed and the speed of access of commonly used programs. I’ve seen specifications that list ports that are not built-in. Rather, these are provided by adaptors. In the example of the ASUS UX31 this adds 100-200gm to the overall weight of the device. It’s a trick that you need to be aware of. The rule of thumb is to use 2/3rds of the manufacturers battery life figures. The figures given by manufacturers are near idle, low-screen brightness figures. The usefulness of quick-charging capability can not be underestimated. Make sure the power brick isn’t a heavy unit. Battery life on Ultrabooks can go from over 10hrs (idle, wifi-0ff, screen low brightness) to under 2hrs (in gaming scnearios) Nearly all 2011 and 2012 Ultrabook use between 7 and 10W of power under web scenarios and given the battery capacity, you can roughty work out the web-based battery life. E.G. with a 60Wh battery, the battery life would be between 6 and 8.5hrs. Larger screen sizes can take a lot of battery life when used with high brightness settings. E.g. a 15″ screen on high brightness settings can reduce battery life by 30%. Some Ultrabooks have a quick-charge feature. Don’t compare battery sizes on mAh figures. look for Wh figures. A matt screen will help reduce sharp reflections outdoors (in most cases – in some cases it can scatter light in an awkward way) and a glossy screen will look sharper indoors. Remember you can add a matt layer to a glossy screen but you can’t make a matt screen glossy. With the introduction of thin-bezel screens it means you can get a larger screen in the same casing size. In some cases there are devices with 15″ screens in the casing size of a traditional 14″ laptop. IPS screens and full HD screens are being introduced in 2012. IPS is a wide-viewing angle display. Full HD (1920×1080) requires font sizes on Windows to be increased which can affect layouts on some programs. This layout issue is likely to be fixed with Windows 8. Don’t expect to be able to upgrade memory, battery or disk on Ultrabooks. Due to the design and manufacturing used to reach these slim builds, everything is fixed, soldered or sealed. There are some Ultrabooks that break these rules though. We’ve seen access panels that allow quick access to the memory slot and hard drive (E.G. 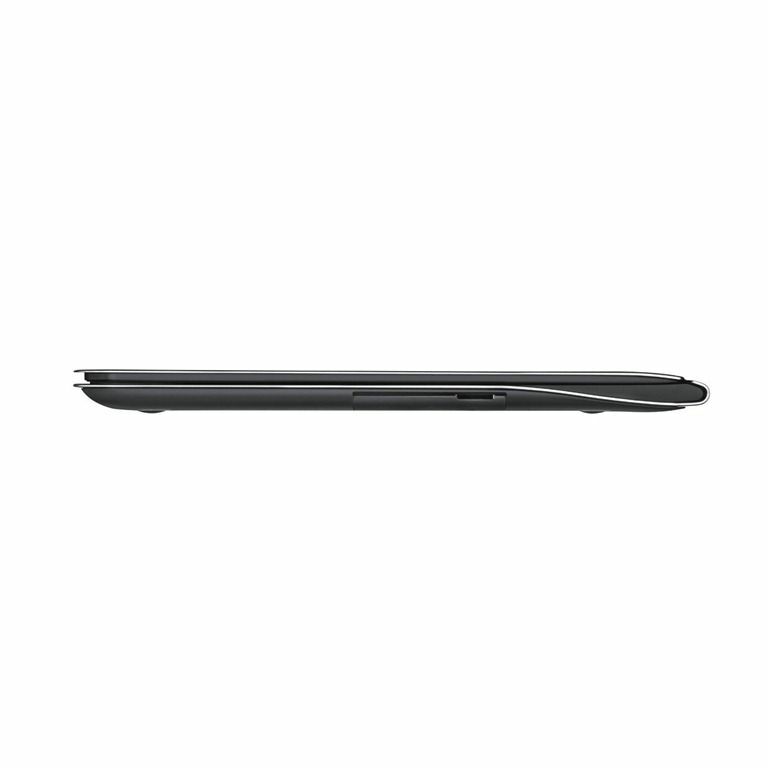 Samsung Series 5) and other Ultrabooks that have rear casings that a re relatively easy to remove. In the latter case this may void a warranty. Some Ultrabooks do come with replaceable batteries. There are some key Ultrabook features that are listed in our features guide but I’ve added some general laptop features to the list below. Wireless Display – Intel’s 1080p ‘Wi-Di’ technology requires an adapter and a compatible Wireless card. Smart Connect – Update while sleeping is available on some 2012 Ultrabooks. ‘HS’ capability with the Bluetooth standard uses Wifi for high-speed transfers. Cases – Protect metal casings from scratches. Where we have the correct information it’s always added to our product pages along with links to reviews and images. Here’s the current list of Ultrabooks for further research. Thanks for the informative list! Great reference guide! Thanks. I wonder also, for us in the US, where is the best place to make the purchase? Amazon, Newegg… directly from the manuf? A reputable online retailer would be my personal choice. Any of the ultabooks comes with a sim card slot (to save the need for external hsdpa modem)? I understand that the Toshiba z830 will come in a (expensice) Portege version with hsdpa. I haven’t heard about 3g options on other devices. The 500Mbps is referring to the actual read speed of data on the drive… 6Gbps is the SATA controller speed from the motherboard to the drive itself. There’s also write speed, to add a third variable… it’s confusing stuff! On SATA’s specifications, the 6Gbps is 6 GigaBITS per second. 500MBps for disk speeds are MegaBYTES per second. Notice the small b and the capitalized B, the former is bits and latter is bytes. However, on SATA, its 10 to 1 ratio for bits and bytes. 6Gbps on SATA is 600MBps. So pretty close to 500MBps the latest SSDs offer. Newegg has new stock of the higher end UX31 and lower end UX21! Go check. Due to my workplace network I need a device that has 5GHz WiFi. The Toshiba Z930 has this but is relatively expensive. Do you know of any other ultrabooks/thins with this WiFi? 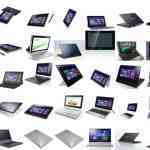 I have been researching ultrabook options to use to create artwork. I am not very educated on all the technical ends. When it comes to the new touchscreens I am lost. I have watched several of your youtube’s on them. I have narrowed it down to 2 that fit most of my wants. Either Dell 15Z with i7 Touchscreen (wishing it was a convertable) or the lenovo Yoga (wished the screen was larger) Is there any you think would work better or another option?? 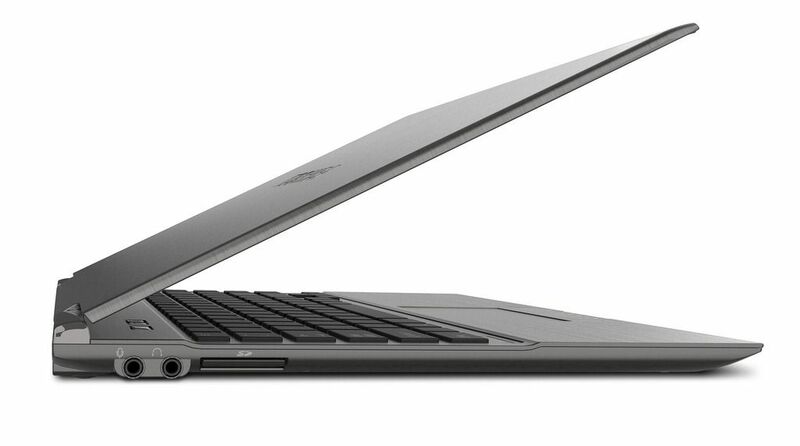 « ASUS UX31 Ultrabook First Reviews. Teardown Included!